There is no question that pharmaceuticals are big business in the United States and many other places around the globe. These are companies earning hundreds of billions of dollars each year, and the last thing they want to see is revenue down and their stock value falling. According to a recent article from Forbes, Repros, the Texas biotechnology firm, lost almost half its value on the stock market in a single week due to FDA concerns about its new testosterone replacement therapy alternative. While the medical community is generally unsure what, if anything, testosterone replacement therapy actually does to benefit the majority of men who are going into so-called Low T clinics across the nation and taking the hormone, testosterone replacement therapy is the main treatment option on the market. However, more recently, researchers have been developing alternative treatment options that actually cause a person to increase their natural testosterone production to an appropriate level, rather than simply giving the patient a dose of testosterone replacement hormone. While Repros has been having issues with gaining FDA approval for its new testosterone replacement therapy alternative drug, AbbVie, the maker of AndroGel, which was at one time the best selling testosterone replacement hormone on the market, is now being hit with thousands of lawsuits from patients who have been injured taking low T mediations. The new testosterone replacement alternative known as enclomiphene, was scheduled for an FDA approval meeting at the end of November. However, FDA canceled the expected approval meeting and sent the company questions about how it conducted its safety testing. Specifically, there was a question about how Repros validated the data in key clinical trials. As we have seen in testosterone replacement lawsuits, a failure to conduct adequate safety testing can lead to serious cases of personal injury. In the cases of testosterone hormone, there has been a failure to adequately warn users that taking a testosterone replacement hormone can result in an increased risk for stroke and heart attack. The CEO for the company was interviewed for the article and said the FDA decision to hold off on approving the drug is not for the reasons publically claimed by the agency over the past couple of years. He claims it has more to do with how the agency has frequently changed its opinion of both the safety and efficacy of testosterone therapy drugs over the past few years, while not doing anything to prevent the drug companies from selling the drug. 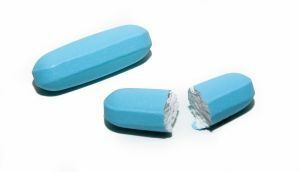 The crux of the problem comes from the fact that any testosterone replacement therapy drug on the market was only approved to treat a very rare condition known as hypogonadism. The rare condition is characterized by an extremely low or non-existent testosterone level and at least one symptom. The millions of American men taking testosterone hormone do not suffer from hypodonadism. It is for this reason they go to Low T clinic, where they are never given a blood test. If a doctor treats just on symptoms without conducting further tests, he or she is allowed to prescribe the drug for what is known as an off-label use.